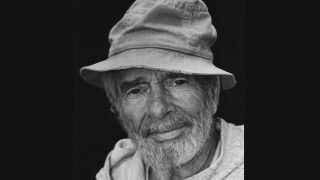 Country music is mourning the death of one of its most important voices this morning, with the passing of veteran Merle Haggard, aged 79. Boasting a recording CV including more than 36 US country no.1s in a six decade-spanning career, Merle's gritty, no-nonsense outlook was forged by difficult formative years. His father died when Haggard was a child, and he would go on to serve time in San Quentin. Indeed, it was reportedly hearing Johnny Cash play at the prison that spurred Haggard on to pursue a career in music on his release in 1960. Merle's breakthrough came with The Fugitive in 1966 and his most famous song is perhaps the typically forthright Okie from Muskogee, adopted as an anthem by conservative middle Americans on its release in 1969. Haggard returned to prominence in 2015 with Django & Jimmie, a collaboration with fellow country legend Willie Nelson. Nelson led tributes last night, tweeting a picture of the pair laughing together, with the message "he was my brother, my friend. I will miss him."